A recent study by Robert Smith and colleagues studied the use of transcranial direct current stimulation (tDCS) in patients with schizophrenia. 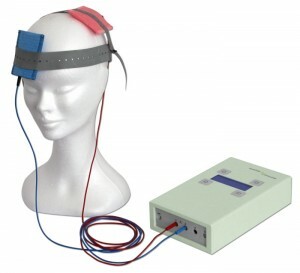 TDCS is very low level current that has a positive (anode) or negative (cathode) electrode. Anodal stimulation of the cortex is usually associated with positive effects on mood and cognition. Patients received either five sessions of active tDCS for 20 minutes (at 2 milli Amps) or a sham stimulation for the same period. Then, one day after the final session, the patients were measured on a variety of scales for cognition and illness. Patients who received the active tDCS showed more improvements in working memory and attention than patients who received the sham treatment. There was no difference in the two groups’ schizophrenic symptoms, including hallucinations. Smith and colleagues suggest that the improvements in cognition may result from changes to brain connectivity networks, since abnormalities in these networks have been identified in patients with schizophrenia and bipolar disorder. Replications of this type of study are needed to clarify the effect of tDCS on cognition in schizophrenia, but given the safety and convenience of the procedure, the findings are promising.